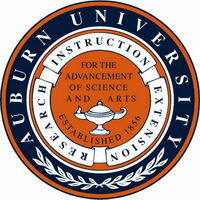 Auburn University is a comprehensive land-grant institution with primary missions including instruction, research, and extension/outreach. Following this precedent, the Mission Statement of the Department of Mechanical Engineering includes three similar statements to those used by the College of Engineering. To prepare our students, through a high quality internationally recognized instructional program, to practice mechanical engineering professionally and ethically in a competitive global environment. To expand scientific and engineering knowledge through innovative research and creative partnerships involving academia, industry, and government. To provide extension programs to assist individuals and organizations to find solutions to engineering problems through education, consulting, and practical research. The vision of the Department of Mechanical Engineering is to be a strong contributor to the College of Engineering's vision of becoming one of the nation's premier engineering institutions, while being recognized by its constituents as the dominant Mechanical Engineering program in the state of Alabama.